Nopes! I am not depressed, not feeling down, no blues, no lack of energy – Nada! Nothing! I am good, never been happier but then we all need a small dose of motivation once in a while! This Wednesday – I’d like to call it the Mid week Motivation! It’s either the runs or the run buddies! One of these! I was on my weekend run with a friend. He was talking about how in our daily lives we do regular things to improve at work, our own selves, our hobbies etc. and still don’t get closer to our goals (maybe some of us don’t even have them). He said – at work – his juniors are happy and complacent with doing what they need to do to get by the day and move on to the other. 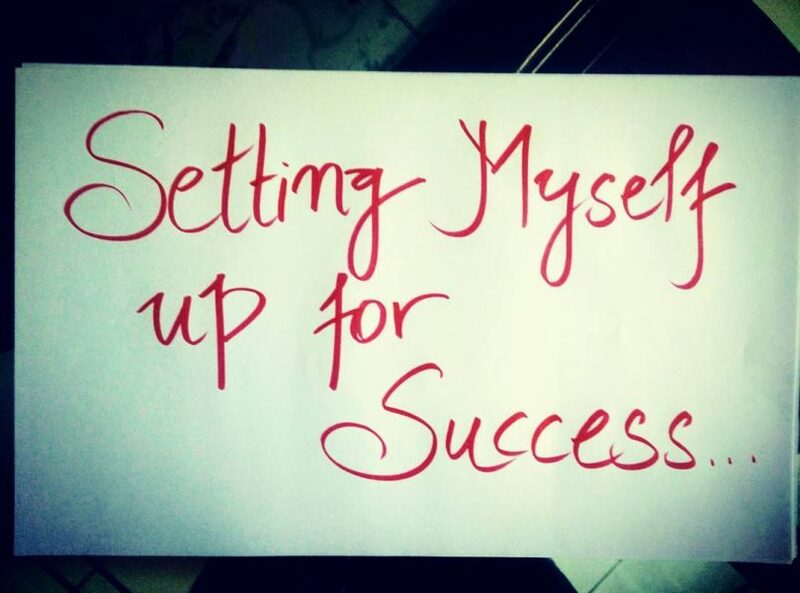 But there are very few who set themselves up for success. There are very few who take the risk of taking longer strides (runners talking pun intended) to achieve something bigger! His conclusion was – people don’t set themselves up for success! It was my eureka moment to a lot of things I am trying to achieve in life. As a mom, as a wife, a blogger, a runner and as just Tanya – Am I prepared? Am I setting myself up for success? Can setting yourself for success mean exactly the same thing as making an effort to bring in everything right together at the right time? – The equipment? The environment? The right facilitators/ people? The right thoughts? Let’s say your goal is to lose 10 kilograms. Do you have access to Good equipment? – At least a treadmill? A gym with a good trainer? Do you have the right gear? – What about the right clothes that give you free movement? My people make me and also break me – When I was trying to lose weight after my second child all I needed were people – who would stop telling me to not to lose weight! I have my goal set – help me or leave the plot! A good nutritionist, a helpful set of friends who understand my need to say NO to bad food! With all the prep, one is more likely to thrive, take bigger strides, get self-sufficient and get closer to those goals that keep us enriched, excited and ticking! Problems don’t leave us …but we’ve got to somehow stay alert, plan ahead and take them head on! Words you should stay away from – Procrastination, Ifs and Buts! Have Fun! Enjoy your Week – the weekend is 48 hours away!